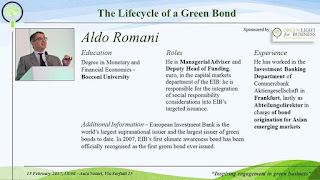 The rationale behind green bonds is strong, the trends breed optimism, and some of the most important financial actors are embracing them – but where do we really stand at the moment, and where do we need to go? 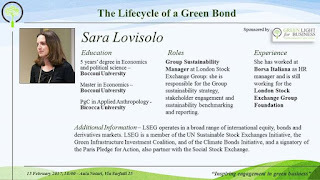 Are green bonds the answer to climate change? The only way to find out is to ask those at the forefront of what could possibly be a green finance revolution. Green Light for Business seeks to examine and analyse the interaction between environmental sustainability and economics, finance, and policymaking in all of its activities. 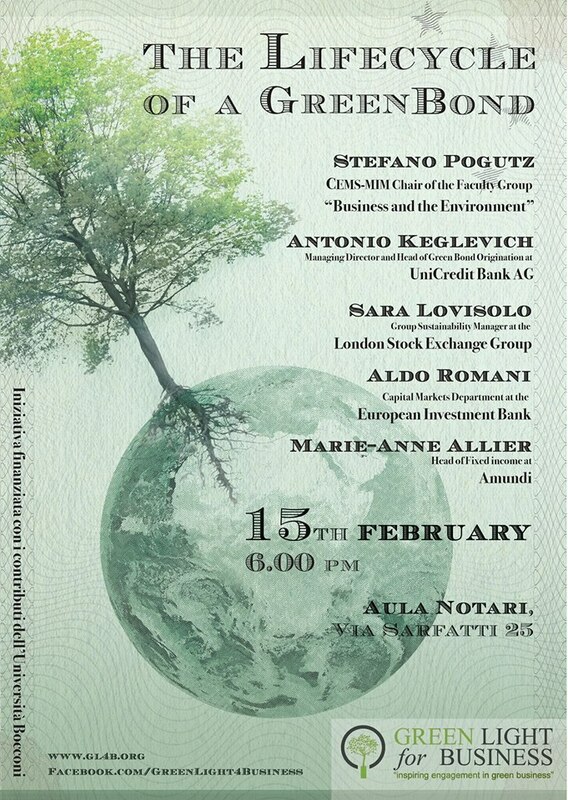 To this end, GL4B has put together a panel discussion centered on green finance, held under the title “The Lifecycle of a Green Bond”, and will involve the different actors that shape the issuance of a green bond: the issuer, the investment bank, the financial intermediary/exchange and the final investor. This covers the entire “lifecycle” of a relatively new but rapidly growing financial instrument, which will allow the audience to learn about the real impact it is having on sustainability. 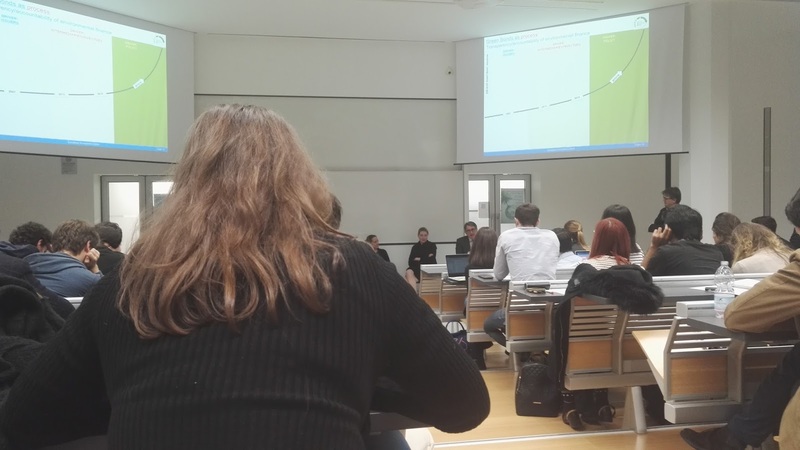 Current green bond issue volume stands at around USD 50 billion globally, but according to the OECD, USD 2.26 trillion of annual low-carbon investment will be required in 2035 to reach carbon abatement and climate change targets. How can green bond issuance keep growing and provide a sizeable portion of this necessary investment – and what role do our guests play in achieving this goal? 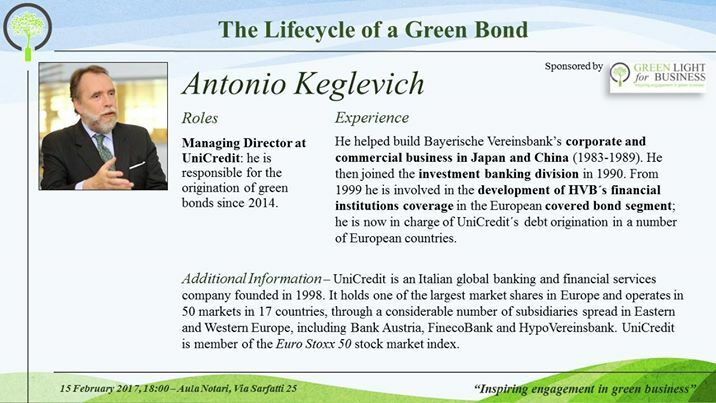 Antonio Keglevich, Managing Director and Head of Green Bond Origination at UniCredit Bank AG. Sara Lovisolo, Group Sustainability Manager at the London Stock Exchange Group. 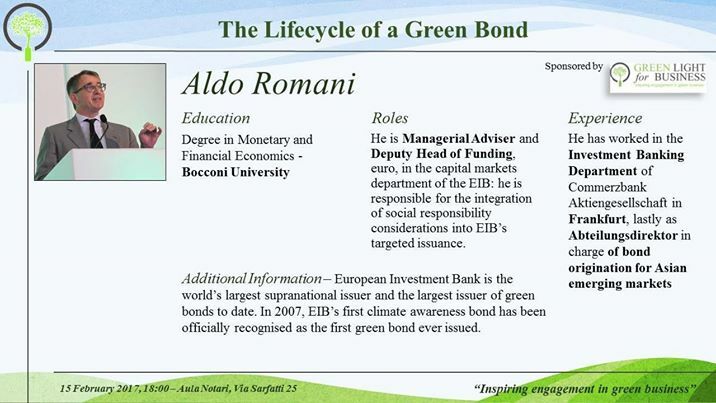 Aldo Romani, Deputy Head of Funding – Euro, Capital Markets Department at the European Investment Bank. 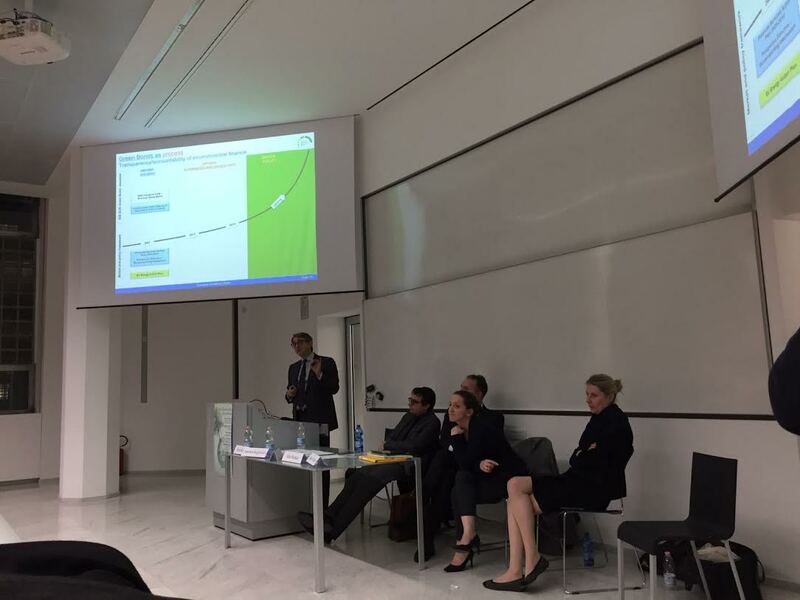 Prof. Stefano Pogutz, Tenured Researcher in Management, CEMS-MIM Chair of the Faculty Group “Business and the Environment”.